DONT PANIC! You've not missed Shrove Tuesday! 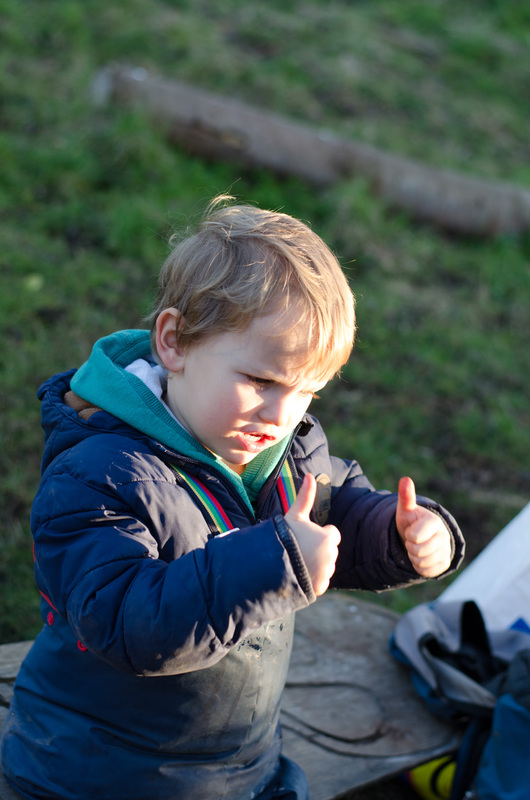 It's next week, but I'll be away running our Forest School Holiday Club so thought it best to bring it a week forward. Pancakes for everyone! 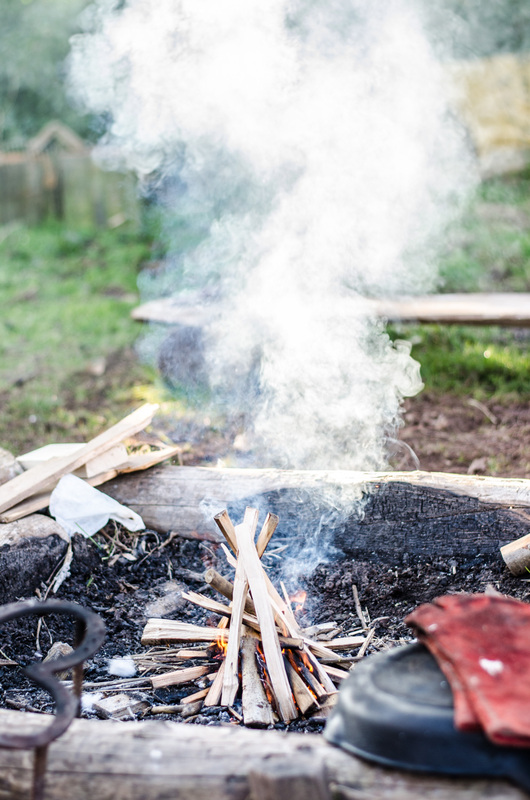 Because of the spate of far-too-near-to-zero temperatures recently, we've begun to remind ourselves about fire lighting, so we've moved into putting that knowledge into practice and making a fire for a purpose. For the children the main focus of the sessions would ultimately revolve around pancakes, but I was interested to see just how much fire knowledge they had retained from previous sessions but also bring into play the 'alfresco' culinary focus. Frying pan in one hand and axe in the other, we ventured out into the paddock to see what we could magic up. Before we started any cooking we again reinforced the safety aspect of fire making and how we can both enjoy and be safe around the fire once it was lit, but we also took another important look at the Lords and Ladies plant which had disappeared over winter but now its distinctive green leaves have begun to rear up from amidst the grass. We clarified with the children this was a poisonous plant and was not to be touched. To start, we looked at lighting the fire. I posed the same open question as normal: "We need to make a fire! How are we going to do it?" Now this is where the confusion kicked in. 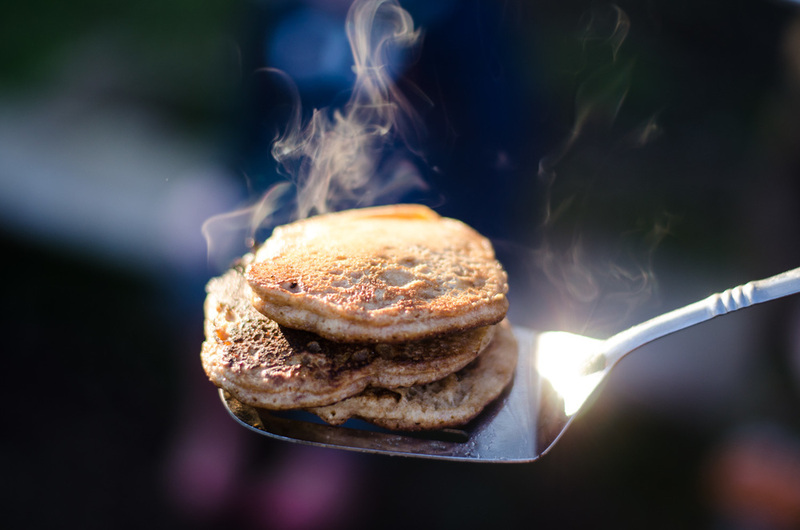 As aforementioned our children already had their 'pancake heads' fully engaged so we were offered suggestions of sugar, water, and even pancake mix into our fire pit. It then struck me that making a fire sort of has a loose recipe with its own ingredients too. I re-phrased the question: "Making a fire has ingredients too! Can you think of what we need for our fire recipe?" We found our kindling or wood shavings, our cotton wool, and our fire steel and decided the order in which to add them. This also gave us the opportunity to reinforce key vocabulary in relation to size and shape. When we talk about differences in size with children our meaning can be easily lost. 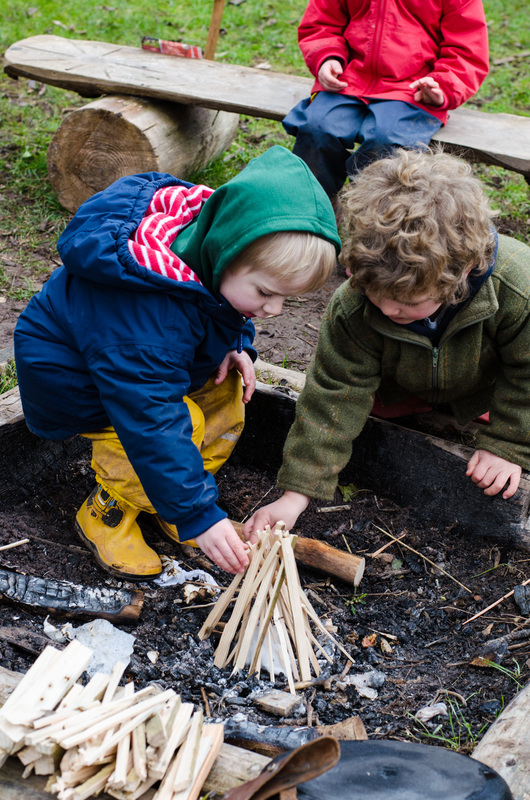 Asking a child to find small sticks for the fire, will often mean they'll come back with short and quite often thick or stubby pieces, which are no good for kindling. Therefore it was important to specify thin pieces and discussed what that meant, comparing with larger sticks, and thinking about what stage of the fire lighting process they should be added. 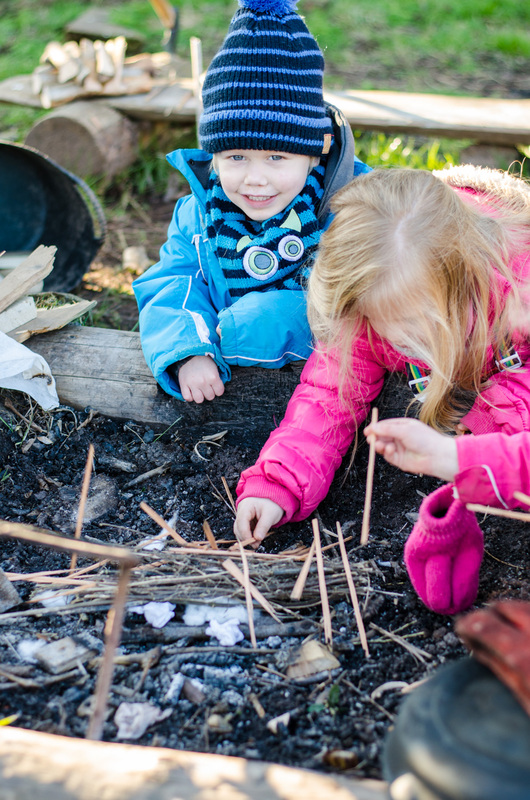 With a little assistance, we built a our fire stacks and structures which varied throughout the week, and lit our fires. Then larger thicker pieces went onto the fire to sustain it whilst we made the batter. 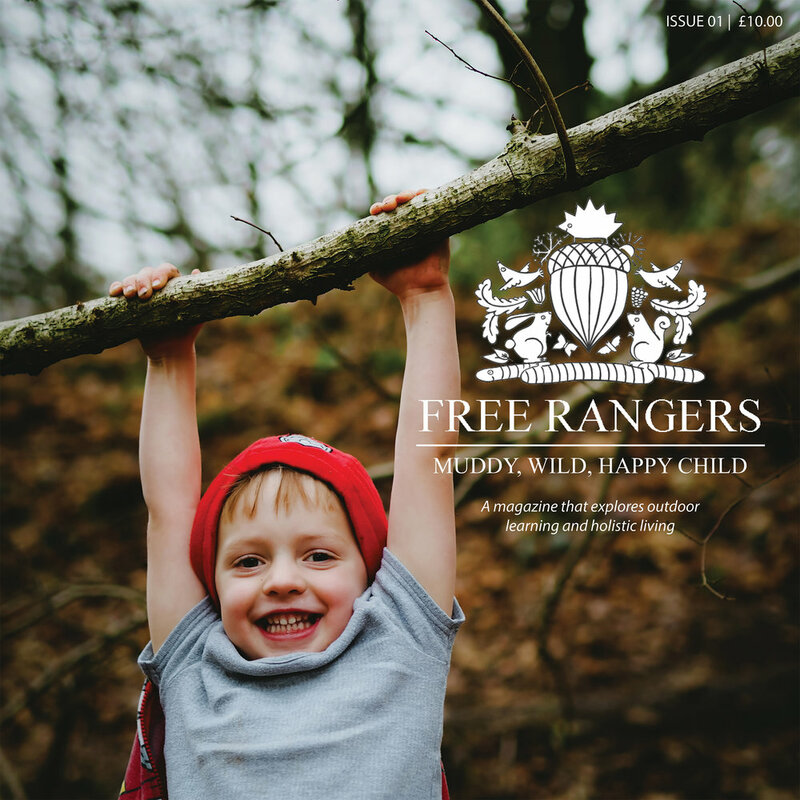 At Free Rangers we cater for a diverse range of dietary requirements from intolerances to allergies. For any Coeliacs, we replaced the wholemeal flour for buckwheat and added some eggs to lighten the mix, and for any Lactose haters, we used Soya milk, although any nut milk would also suffice and would also have little effect on the overall outcome I'm sure. The amount of sugar is dependant on the fruit you decide to put in. We had some very ripe and sweet bananas, so we used only a little sugar, but if you are using other fruit you may want to add a little extra of the good stuff. We also discussed whether the children thought these pancakes were a healthy option to eat? Some recognised the fruit represented a good choice and we talked about the vitamins, energy and flavours. However, when I asked the kids they usually had their mouths full of deliciousness, so they either ignored me, muffled an answer or just nodded. "What can you see happening in the pan? ", "What can you smell? ", "What noises can you hear?" "Do the pancakes melt like the butter?" - The processes of cooking go much deeper than the simple mechanics we take for granted. It's important to talk through these extra sensory experiences with the children to help aid their understanding and ultimately their enjoyment. Then we cooked. Here we looked how fire or heat changes states of materials. The children delighted as the butter hit the hot metal pan, watching as it sizzled and spat. We puzzled why it was shrinking and sliding around (or "surfing" as one child observed), what sounds it made, and would the pancakes melt too? In the batter went and the aroma was tantalising. We also puzzled over why the mix went brown and I mentioned the link between the heat, the sugar carmamlising and browning the pancakes. Once cool, we tucked in around the glowing embers. 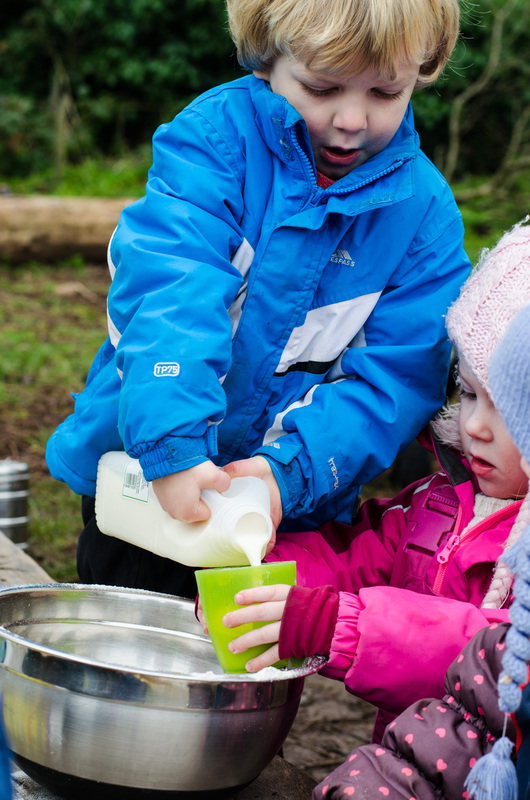 With sessions like this, there is always so much auxiliary learning you can tap into as with all Forest School sessions. At the start of the week, I was keen to solidify some of this learning in the children's knowledge about fire and fire making. As the week has progressed, I've come to the reasoning that whilst I can explain and show the children the ins and outs, they ultimately will learn best through the spontaneous child-led physical interactions - less about the 'knowing' and more with enjoying the moment. If they learn something along the way then all the better.